A fan pointing out that the Croatian town of Orebic has been renamed (Ante) Rebic after the Croatia winger. He is expected to line up against England today in their semi-final as Croatia aim to go one better than the Class of ‘98. 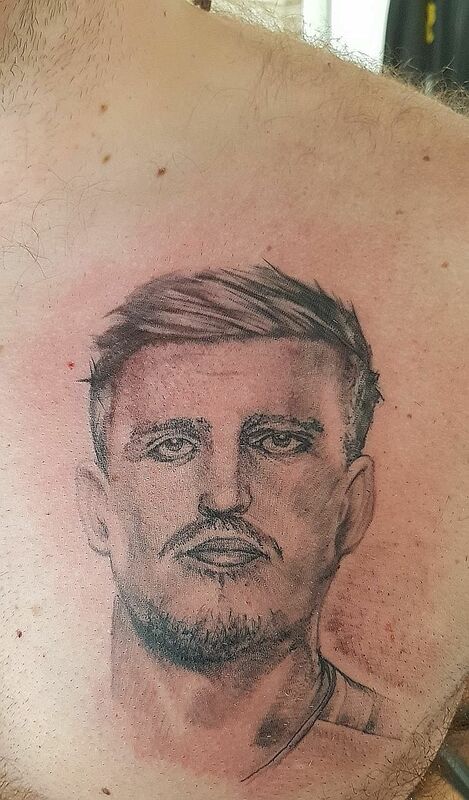 England fan Matt Benton getting a tattoo of Harry Maguire’s face on his body after the defender scored the first goal in the quarter-final win over Sweden. Maguire responded to Benton’s tweet, promising to get him a signed England shirt from the lads.